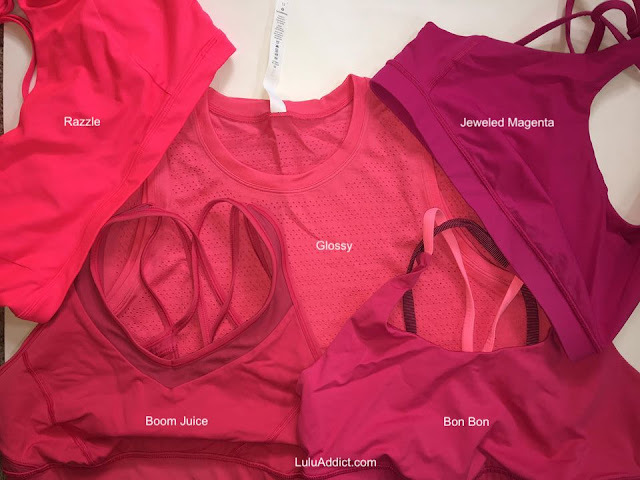 The new Glossy Breeze By Muscle Tank vs some of my other hot pink bras in Razzle, Boom Juice, Bon Bon, and Jeweled Magenta. I think the color is probably closest to Boom Juice. I had a feeling it was most like boom juice. Is Glossy kind of like Lip Gloss from last year? Looks dull/muted compared to Razzle. @ anita - I think they're pretty close. 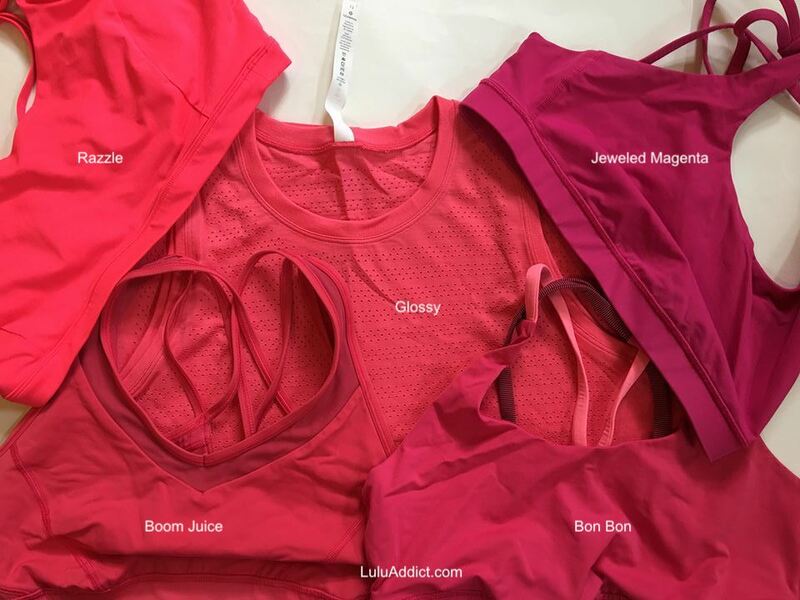 Razzle is neon color and Glossy is just a hot pink.